After 37 long years, in 2017, the Tigers took home the ultimate prize in the premiership cup. This year the team will be keen to emulate their success and with a stable off season they are in a position to do just that. The reigning Premiers have found a magical formula on field and will be keen to capture their brilliance again in 2018. 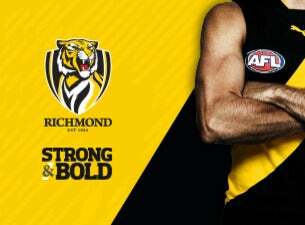 With a young side, improving depth and a number of A-graders there is no reason why the Tigers can’t go all the way. Richmond will enter the season with the best player in the game, Brownlow medallist, Dustin Martin and one of the competition’s best leaders in captain Trent Cotchin. In a season that promises to produce thrilling entertainment for all the family join the Tiger Army as they march towards the ultimate September success.